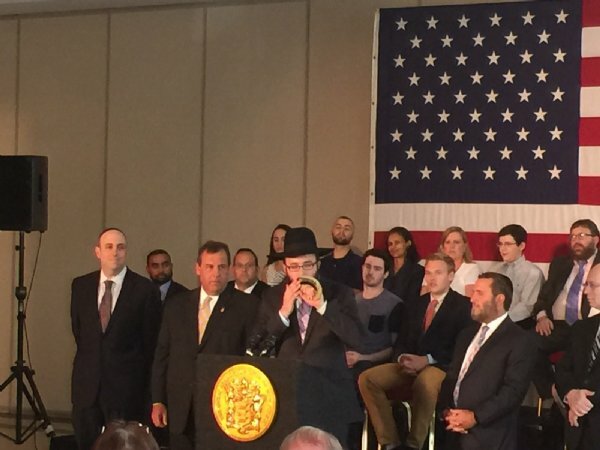 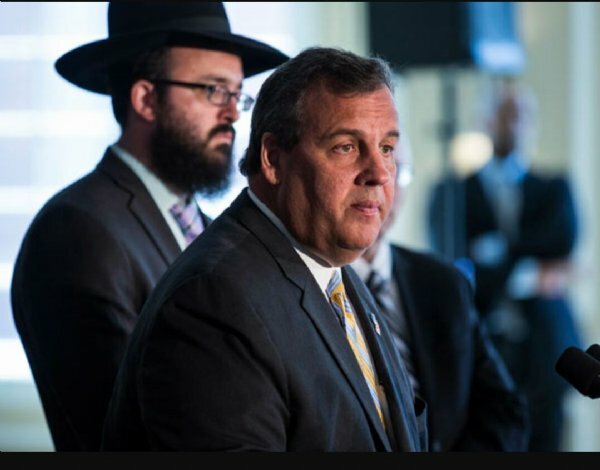 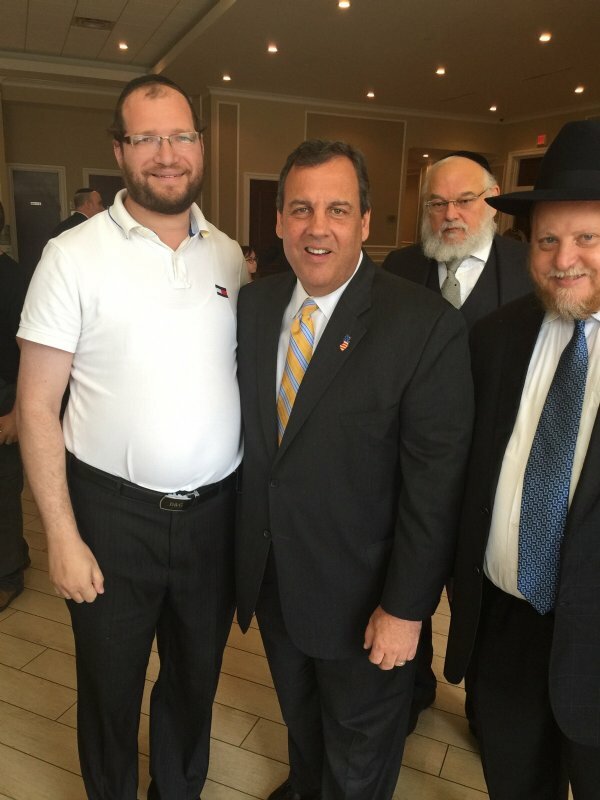 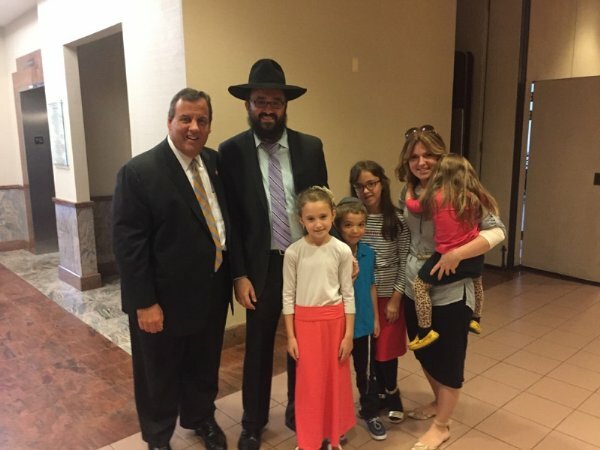 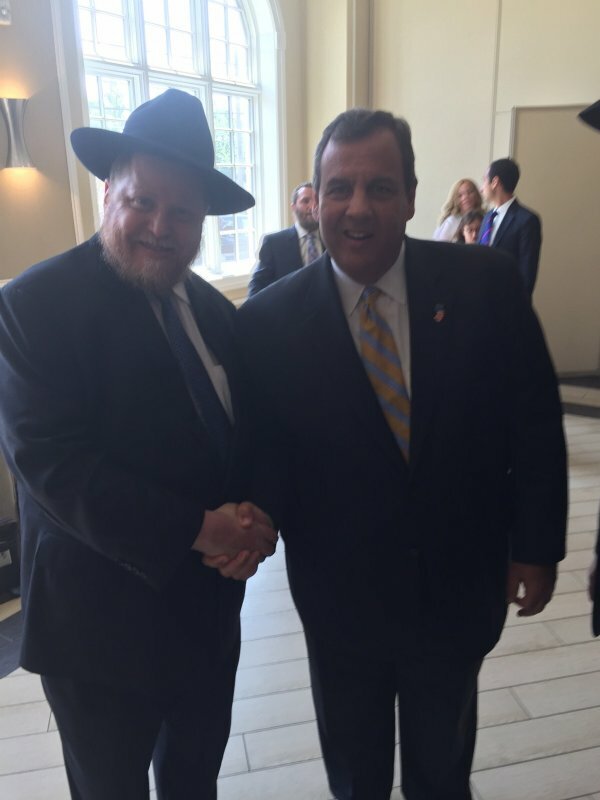 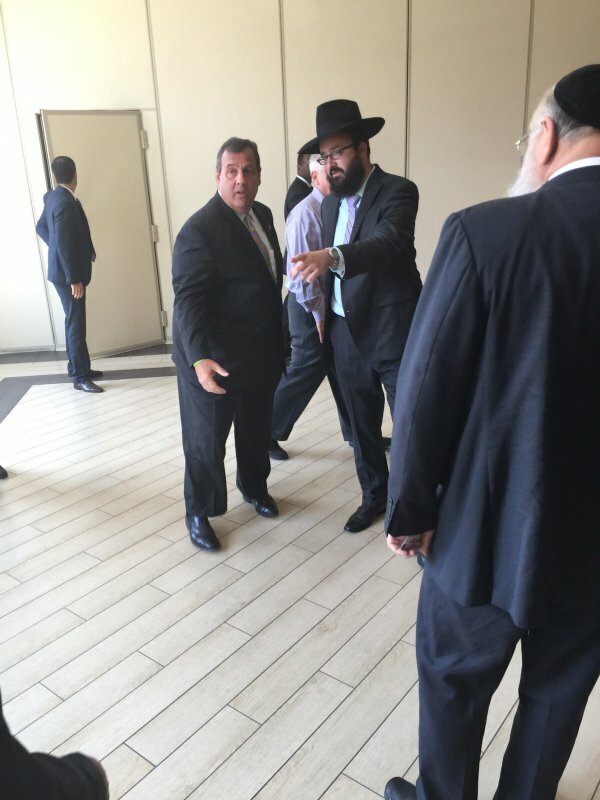 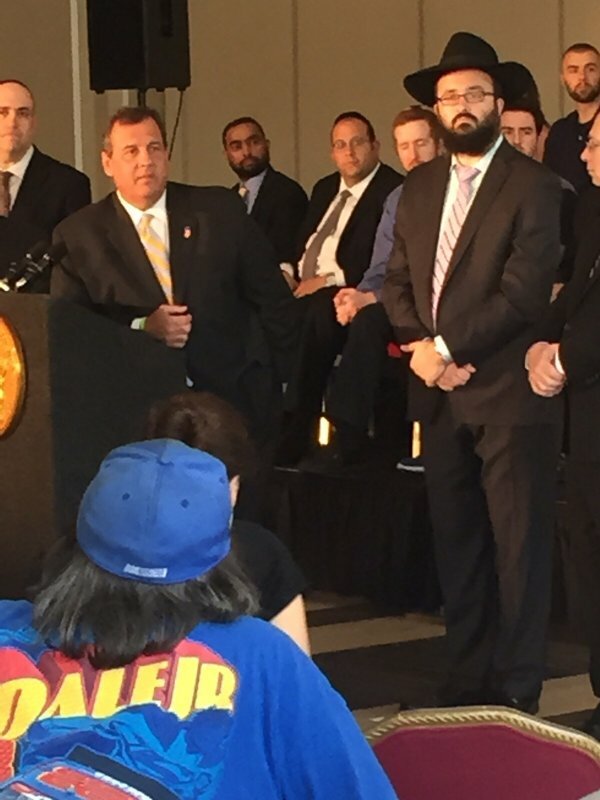 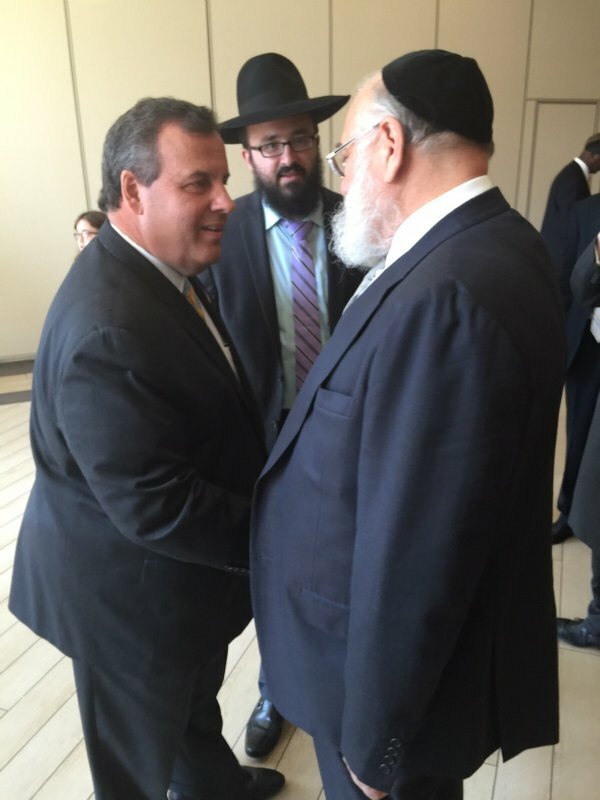 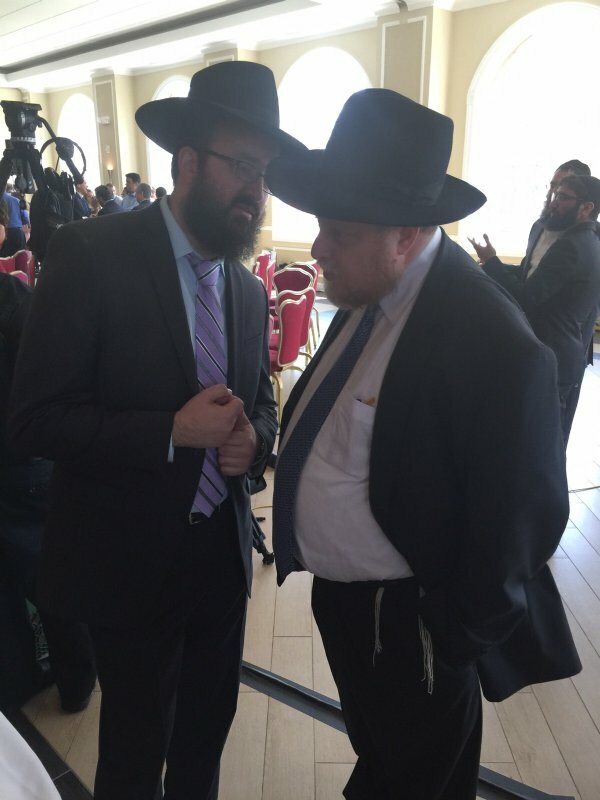 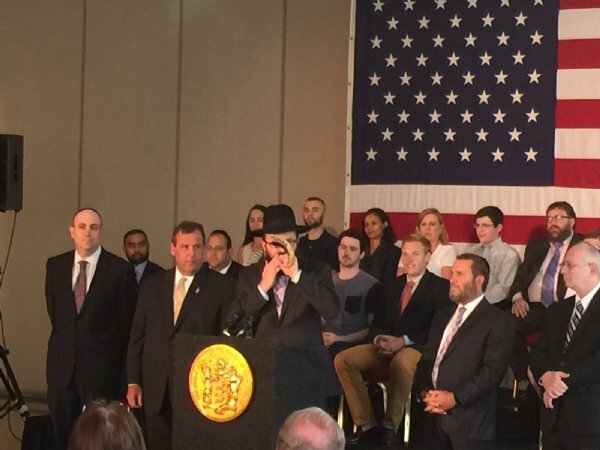 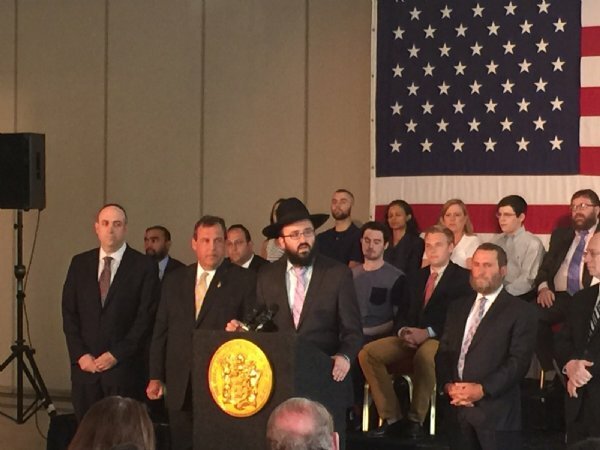 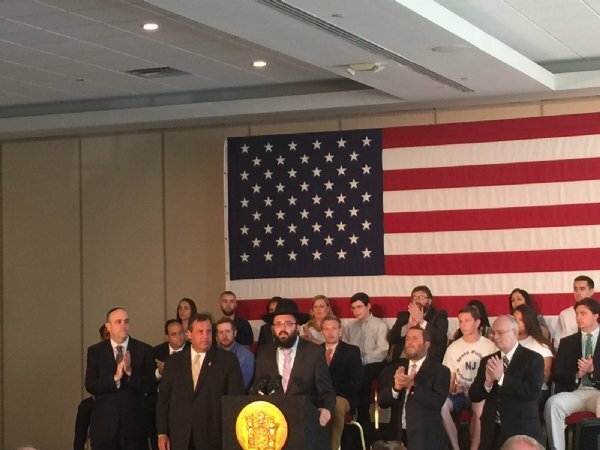 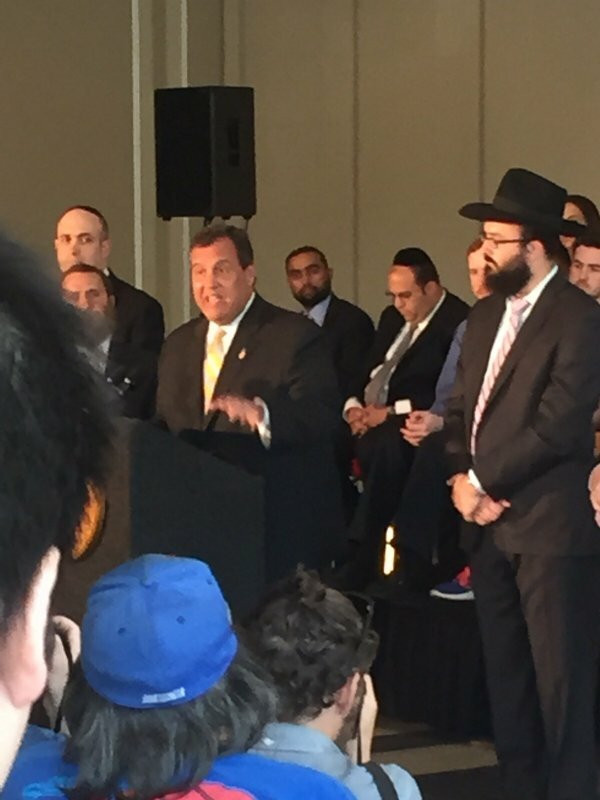 Shofar Blown at Governor Christie Event in Chabad House Governor Chris Christie held a news conference at the Rutgers University Chabad House in New Brunswick, NJ on Tuesday, Aug. 25th. 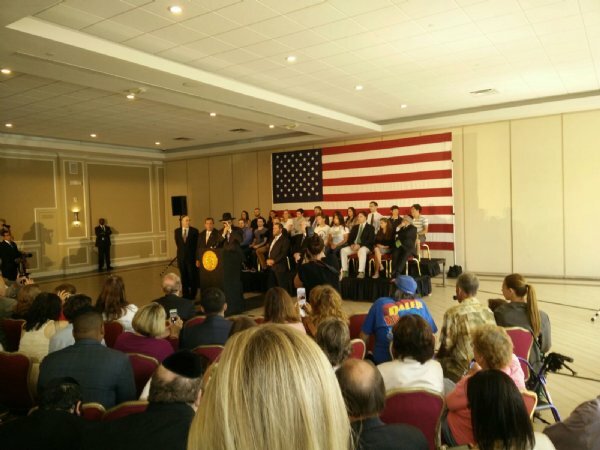 The press conference was put together to encourage the NJ congressional delegation and particularly Senator Corey Booker to vote against the "Iran Deal" . 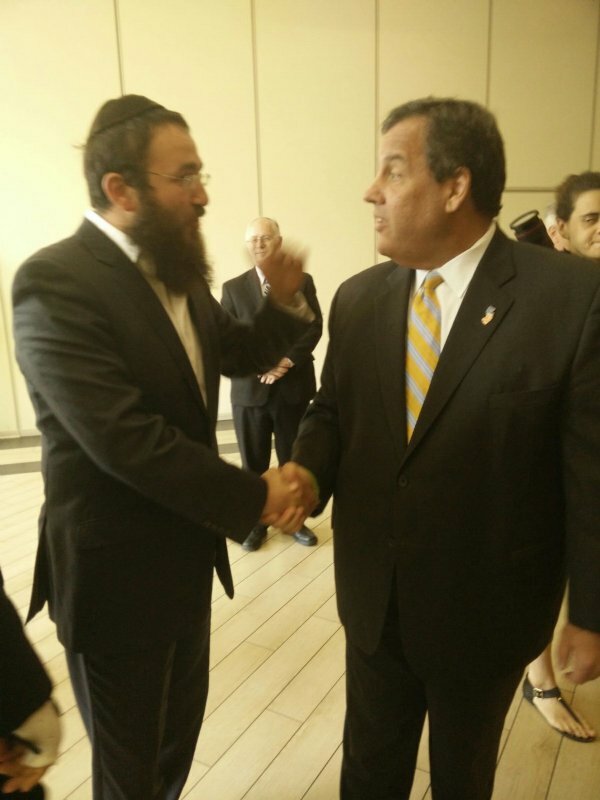 As host of this event, Rabbi Mendy Carlebach welcomed Governor Christie and spoke of the Governor's affinity of the Land of Israel and the people of Israel and made reference to their trip to Israel in April 2012. 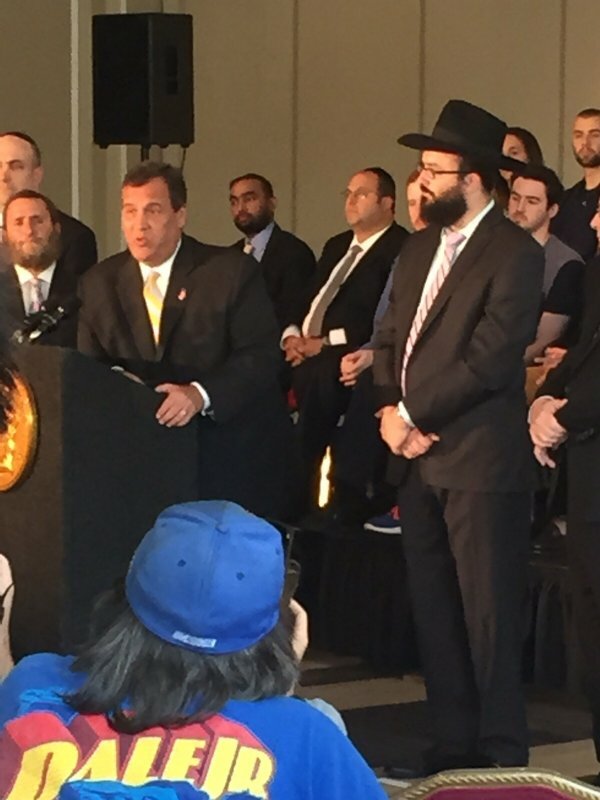 After welcoming words the shofar was sounded and the Governor and guest speakers continued with the program.